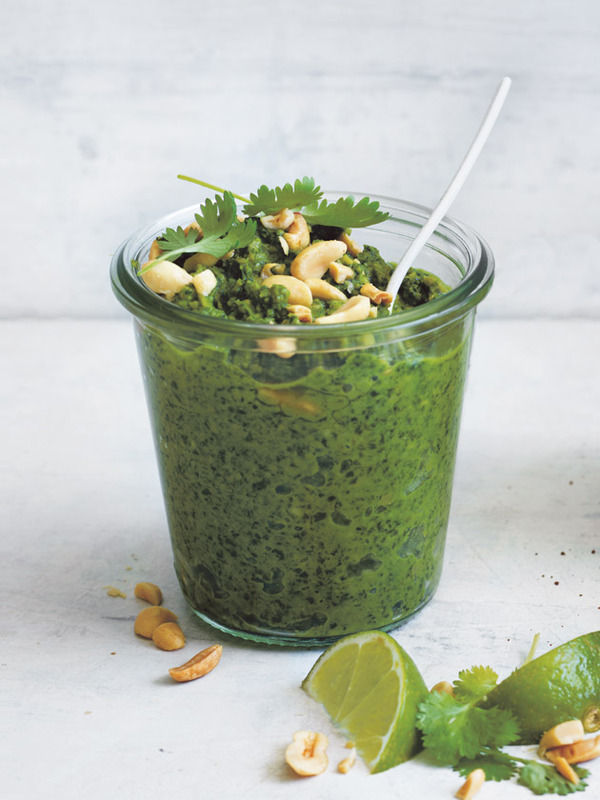 Place the spinach, coriander, peanuts, lime rind, lime juice, oil, salt and pepper in a food processor and process until finely chopped and well combined. Top with the extra coriander and peanuts and serve with lime wedges. Makes 2 cups.